Sweaty summers require a very different skincare routine than cold, windy winters. It’s annoying spending all that time in the shower and out, prepping your skin so it doesn’t fall apart in the elements. It doesn’t have to be complicated though, and contrary to mainstream advertising, you don’t need heaps of products to make it perfect. The magic lies in the balance. It’s finding the right products for your skin and then not over-doing it. If you’ve got these 3 keys down to a schedule, your routine will be wonderfully winterized, and your skin will be ready to take on the world as it should. A skincare basic, the trick with exfoliating, is to apply it very gently and leave a couple of days interval before using it again. Ideally, you should be using an exfoliating gel or cream up to 3 times a week, and massaging it ever so lightly into damp skin. For all the other days, using a hydrating cleansing toner with some cotton pads will do the job. This cleanser by InstaNatural is ideal – view it on Amazon. It’s important to use an exfoliant every so often to clear out any build ups and make it easier for moisture to penetrate the skin’s layers. Spread out your scrubbing moments evenly throughout the week (max 3 days) so not to irritate the skin by over-use. Remember that over washing, especially with the wrong kind of cleansers, can cause of dryness, irritation, redness, breakouts and flaking, so whatever you’re using, you want to make sure it’s low on harsh chemicals and high in natural extracts. If you’re struggling with dry, peeling or scaly lips, a lip exfoliant should also be used, followed by the application of a natural oil such as virgin coconut oil or olive oil, a lip serum or restorative lip balm. A simple skincare product is cold water – it works wonders! The use of cold water is an entire holistic treatment in itself. Try to avoid washing your face excessively in the shower where the water is usually very hot. Instead, use your cleanser or exfoliant after showering, and using very cold water (as cold as you can tolerate), to finish up. It may seem counterintuitive to use cold water during winter, but trust us on this. Cold water increases blood flow to the area, fast-tracking nutrients to their destination and removing impurities in the process. 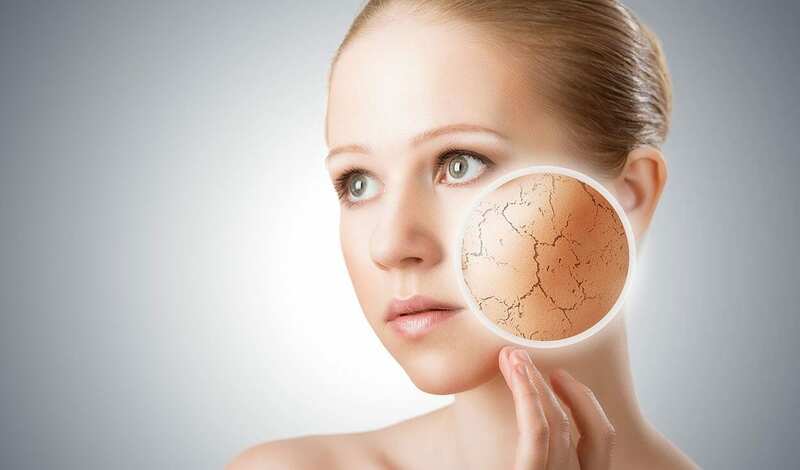 It also causes the pours of our skin to contract, improving the skins appearance and reducing the risk of pours becoming clogged with oil and dirt. 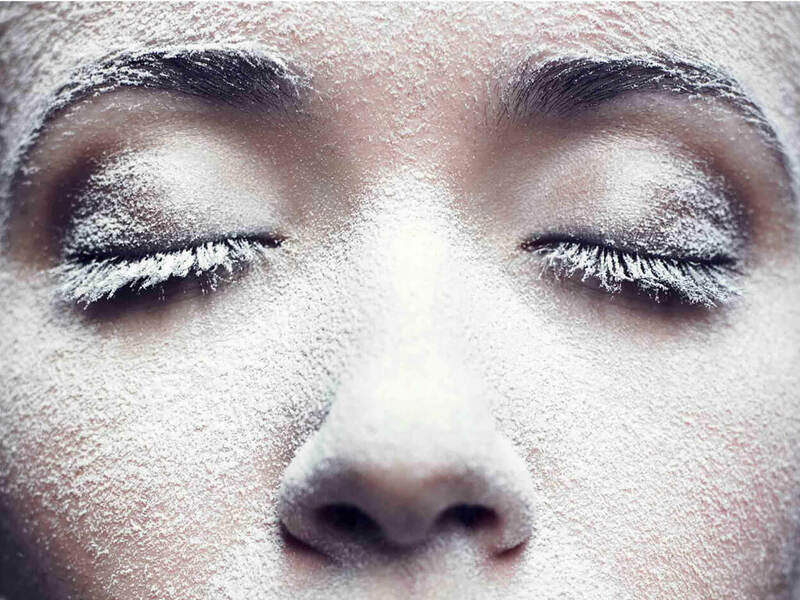 In addition, the cold temperature eliminates morning puffiness, especially around the eyes, which is where a lot of us struggle. Believe it or not, using cold water before bed, though stimulating, can actually improve quality of sleep. It stimulates our immune system and regulates the skins natural oil productions, improving all around wellbeing. Definitely a simple holistic practice that’s worth including in any morning / beauty / night time routine. Washing is all well and good, but if you’re lacking in the moisture department, it can leave you worse off than when you started. This is especially true for those of us who have dry or combination skin. As logic would have it, you want to ensure a moisturiser is applied after every cleanse. This is the stuff which will remain on you the longest, essentially being eaten by your skin, so try to find a product that’s full of a whole lot of simple goodness. A lightweight moisturiser which is suitable for sensitive skin is the base necessities of what you’re looking for. Choosing products from companies that care about the environment and the health of their customers skin is the golden ticket to a high quality product. We’ve managed to find a product that is suitable for the most delicate of skin types and ticks all of our holistic boxes. NOTE: The products we have selected for this skincare blog have been tried and tested and are all available for online purchasing. These are not affiliate links and we are in no way gaining anything from promoting these products. We genuinely love them! As a holistic teaching facility, our goal is to spread knowledge on all topics that cover health and beauty. We like to give examples and suggestions to match the advice in our blogs, so we hope you are finding them to be useful! The winters are getting colder, so take care out there! Here at The School of Natural Health Sciences we offer a selection of over 60 holistic therapy courses, among which is our diploma-correspondent Holistic Skincare Products course. Learn to make your own products with all the best natural ingredients. Find out what all those difficult-to-pronounce ingredients in cosmetic products really mean, and how they affect your body. Start to design, create, package and even distribute self-made products, as well as tailoring them to you and your clients needs. This course covers it all, from equipment and food additives to labelling and legislation. Not only will you have a fresh skill set and brand new career path, but you’ll take away tricks of the trade and top quality insider knowledge thanks to the course writer, Joy Picot, who has over 20 years experience in the field. Be more, do more, learn more – the holistic way!